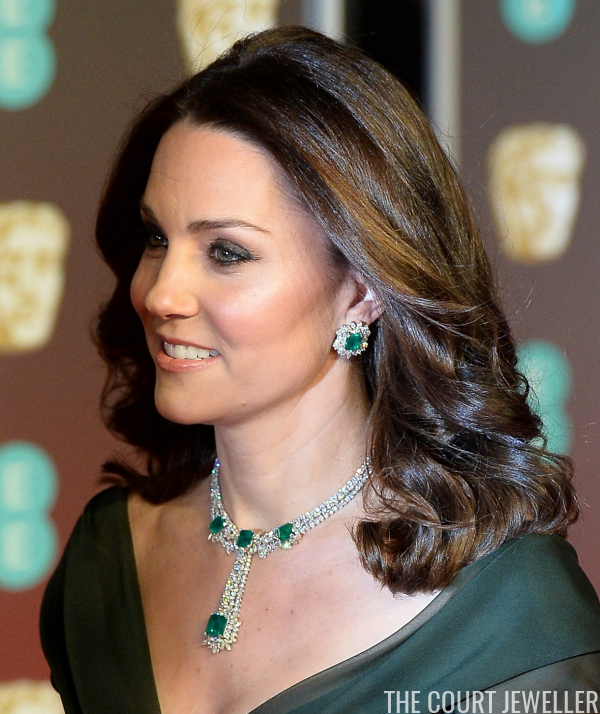 Our look into the jewelry box of the Duchess of Cambridge continues this week with one of her most stunning suites of jewelry: her modern diamond and emerald demi-parure. Kate debuted the set during the Cambridges' trip to New York in December 2014. 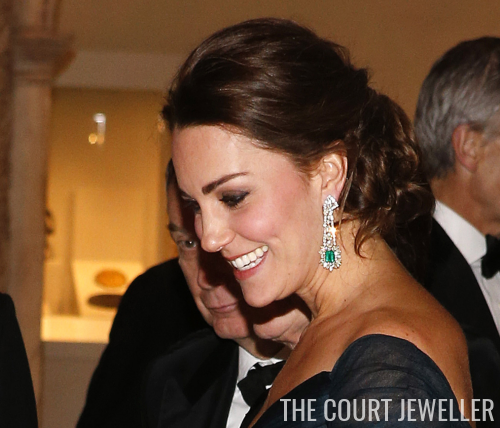 She selected the jewels for the St. Andrews 600th Anniversary Dinner at the Metropolitan Museum of Art. The suite includes at least two pieces: a pair of earrings and a coordinating bracelet. The pieces are set with white diamonds, yellow diamonds, and square-cut emeralds, which are set within a floral border of diamonds. The maker of the set has not been identified, but I agree with those who have suggested that it's modern in design. I also think the set is a good candidate for the black-tie reception being held this week on William and Kate's tour of India. Update: For the 2018 BAFTAs, Kate wore pieces from this suite again, including a major statement necklace. 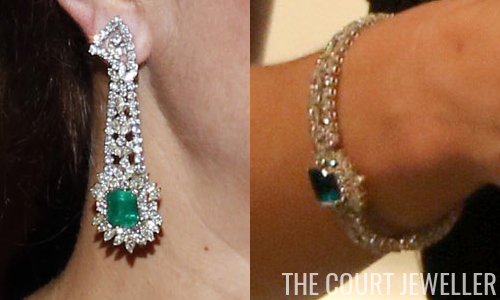 She also wore the bracelet and a modified version of the earrings, using just the emerald cluster portion as a stud earring.